On the heels of its inaugural Canadian flights out of Montreal, low-fare carrier Norwegian is set to launch its first transatlantic service from Canada with daily service from Hamilton, Ont. to Dublin, Ireland on March 31, 2019. 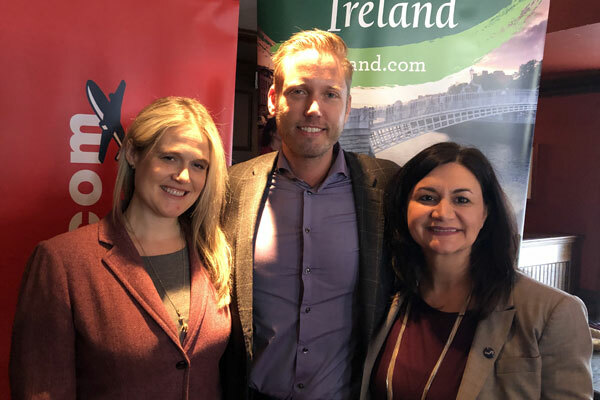 To celebrate the new service, Norwegian, Tourism Ireland and Hamilton International Airport teamed up to host a trade luncheon in Toronto yesterday (Dec. 5), complete with Irish music and cuisine from P.J. O’Brien’s. On hand from Norwegian was Anders Lindstrom who told PressToday that the “world’s fastest growing airline” is excited to be flying out of Hamilton, with one-way fares, taxes included, starting at $209 for April and May ($279 during peak season). Service will be aboard Boeing 737 MAX aircraft, which Lindstrom described as being perfectly suited for the route. The plane will have 189 economy-class seats. Norwegian will offer basic low fare, as well as low fare plus, which will include seat, checked baggage and meals. All passengers receive free WiFi. He noted that from Dublin travellers can also make easy connections to Stockholm, Copenhagen, Oslo and Helsinki. 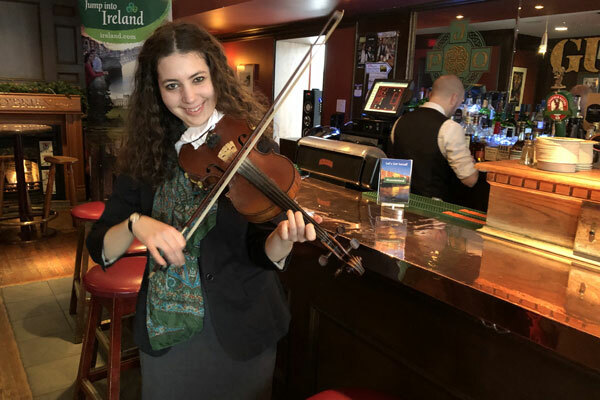 Dana Welch, manager, Canada, Tourism Ireland, said this is an “unbeatable opportunity” to get more Canadians to Dublin and and the rest of Ireland, adding she hopes some will take the opportunity to go more than once. Representing Hamilton International Airport was Dina Carlucci who said they’ve “witnessed the power of low-cost travel” and are ready to welcome Norwegian. “It’s the perfect match for the market in our region,” she said. From Montreal, Norwegian takes travellers to the French Caribbean – Guadeloupe and Martinique, with onward service to French Guiana. Norwegian has been named the “Most Fuel-Efficient Airline on Transatlantic Routes” by the International Council on Clean Transportation (ICCT) twice and has been voted “Europe’s Best Low-Cost Airline” by passengers for six consecutive years at the SkyTrax World Airline Awards, along with being named the “World’s Best Low-Cost Long-Haul Airline” for the past four years. Pictured at the event are (l-r) Welch, Lindstrom and Carlucci.